:Habitat and range: Present only in New Mexico, Arizona and Texas. ( USDA Plant Database). 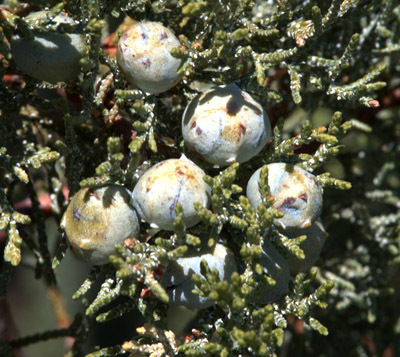 Growth habit: Tree. :U.S. Nativity: Native. Closeup of alligator bark juniper Juniperus deppeana, showing berries. Photographed at Aguirre Springs Campground, May 8, 2055. 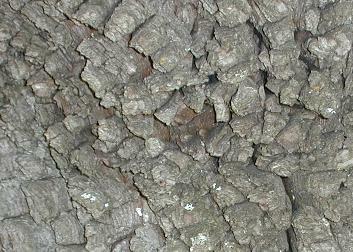 Closeup of alligator bark juniper Juniperus deppeana, showing the bark. 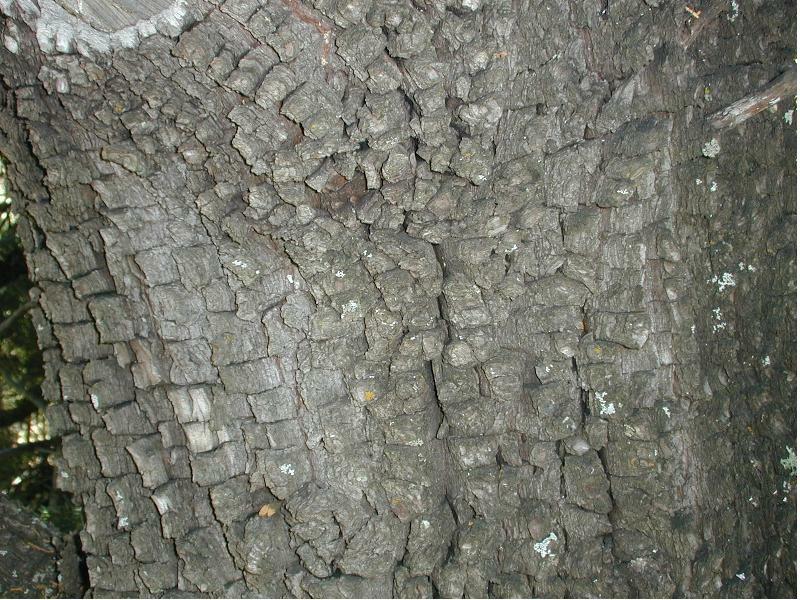 Jack Carter, Trees and Shrubs of New Mexico, notes that the bark of the trunk is "divided into rectangular or square plates resembling the back of an alligator, thus the common name." 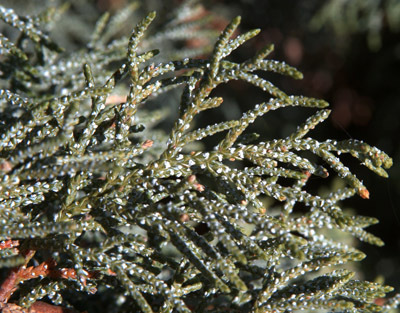 The bark, plus the characteristic white dots on the needles, make this the easier juniper to identify. Photographed at by Kenneth Ingham. 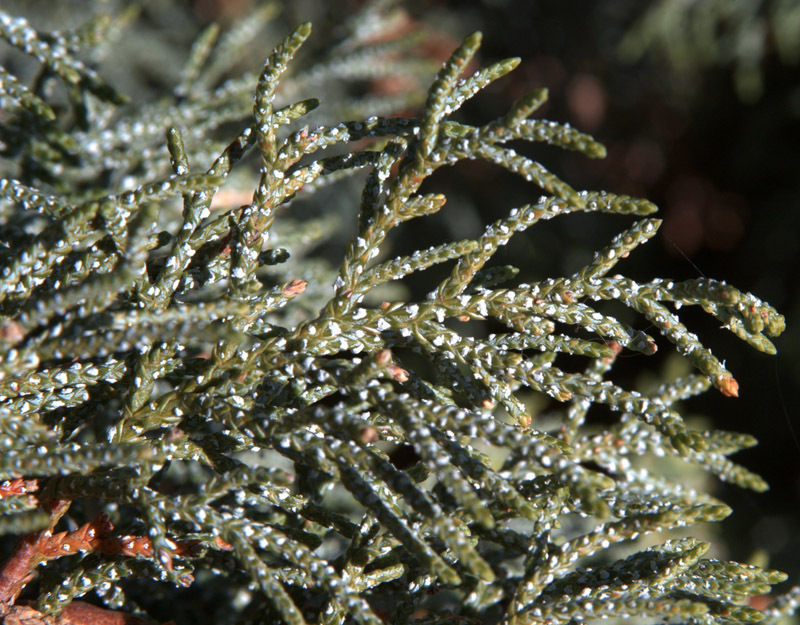 Closeup of alligator bark juniper Juniperus deppeana, showing the needles with the characteristic "white resinous dots of exudate." Photographed at Aguirre Springs Campground, May 8, 2005. Species account from USDA Forest Service Fire Effects Information System (FEIS).